Orbeez, If you are yet to see the range of Orbeez products then you are yet to experience soft and squidgy wet and wacky balls of fun. Orbeez are super absorbent polymers - which start out life as small hard balls but place them in water and they expand upto 100 times their original size. There is a whole range of Orbeez related products, which are a big hit in the USA, I hadn't actually seen or had a look at any Orbeez things until I received an email asking if we would like to test out the new Soothing Spa set. When the set arrived it contained 1500 ready expanded multi coloured Orbeez. The Spa needs some simple construction, be sure to ensure the locator at the back is in place to aline up the inside sections correctly, and 2 x C batteries which don't come included, the set is not huge but big enough to place both feet. 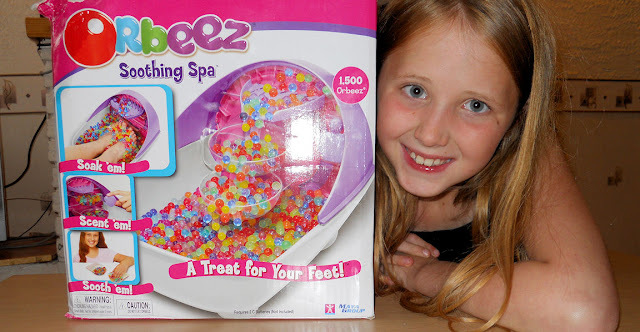 It says in the instructions to add some warm water to the Orbeez and then drain, before adding them to the Spa, which we did, and then we turned on the Soothing Spa and sat back to enjoy. The wheel at the back rotates which collects Orbeez as it turns and then dispels them out at the top, dropping them onto a tray which then rolls down into the collecting bowls, we found these took quite a while to fill up and never really created a waterfall type effect that is portrayed on the box, so we removed the collecting trays and let the Orbeez bounce straight into the main section of the Spa. 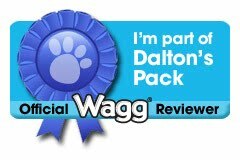 Chloe thought it was great and it kept her happily entertained for ages, much longer than I was expecting, and the next day she went back to it again. We put all 1500 Orbeez into the spa straight away and it filled it to a reasonable level, Whilst using the Spa some of the Orbeez got 'squashed' and went a bit mulshy but the good majority of them have survived,we have left them in the Spa for well over a week without bagging them up and they have not dried out or altered in any negative way as yet. Chloe has gone back to it almost daily and happily plays with the Orbeez which really are great to look at, feel and just generally enjoy! The spa has a light up feature and perfume to add the Orbeeze to add to the fun too which is a nice little extra. This is a great set and a fun way to play with these clever little super absorbant polymeres. 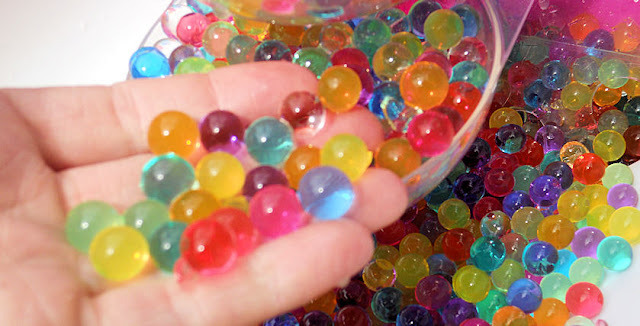 I really like the idea of Orbeez and have been having a look at the website and see that there are several products using these clever little balls, including light up lamps and you can purchase them in their original form to 'grow' yourself which would be a great way to include some science to this fun activity. The soothing Spa is priced around £29.99 I found it at Smyths Toy shop, but they don't stock the replacement Orbeez, there is however a leaflet included in the soothing spa which tells you how to get hold of replacements. They are strange things, great fun tho!